From the moment golfers enter Blackthorn Golf Club, until well after their round of championship golf is completed, they enjoy resort-style service. The Irish-cottage style clubhouse and 18-hole course, designed by Dr. Michael Hurdzan, is set upon a rolling wooded site of 226 acres. Broad fairways, framed by 94 bunkers, wetlands, ponds, and native prairie grasses, lead to subtly contoured and swept-up bent-grass greens. 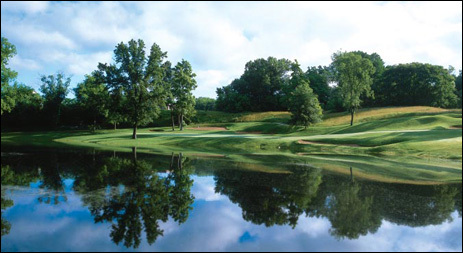 Located 90 minutes from downtown Chicago, this spectacular course lives up to the high accolades it has earned. 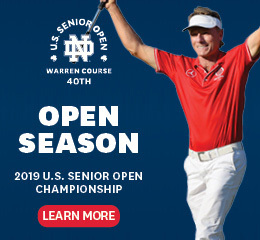 Honors like “41/2 stars in Places to Play” by Golf Digest, among the “Top 100 Women-Friendly Golf Courses,” by Golf For Women Magazine, and “#4 Best New Public Courses in the US,” by Golf Digest. Whether you’re teeing off with a large group of friends, clients, employees, or guests, golf outings at Blackthorn are planned down to even the smallest details by the club’s professional staff. Blackthorn is everything the experts say about the club and much more. See for yourself why you should make Blackthorn your home course for personal and corporate outings.